One of the challenges of tracking the ebike business in the USA is created by a lack of a uniform tariff or HTS numbers that are specific to electric bicycles. So a researcher is limited to a process of using descriptions such as ebike, electric bike, etc. With a population of more than 316 Million people, buying about 15 million normal bicycles most years, and a demographic that is shifting to an older, but active generation of baby boomers…the USA seems a natural market for electric powered two wheelers. The European market, about 742 million people, buying about 20 million bicycles most years, is both larger, and buys fewer bicycles per capita than the USA. However, much of Europe regards a bicycle of any type as transportation. (As well as for sports, fitness, and recreation.) This is a cultural norm and in such cultures ebike markets grow more quickly. The future of electric bikes will be highly networked! 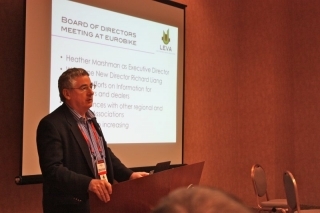 This is a guest post from Edward Benjamin, Senior Managing Director of eCycleElectric LLC, and Chairman of Light Electric Vehicle Association (LEVA). For nearly 20 years, I have watched engineers, inventors and designers steadily improving electric powered two wheelers. Improving performance, reliability, and appearance in nearly every aspect in every market.